DJ Sumbody Ngwana Daddy. 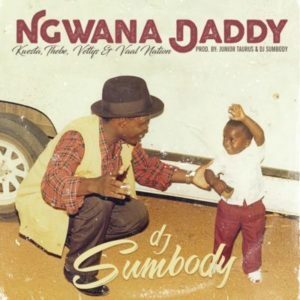 Sumsounds Productions and Ayepyep chief DJ Sumbody has finally released his in demand single Ngwana Daddy. The recording features newly wedded Kwesta, Thebe, Vettys & Vaal Nation.